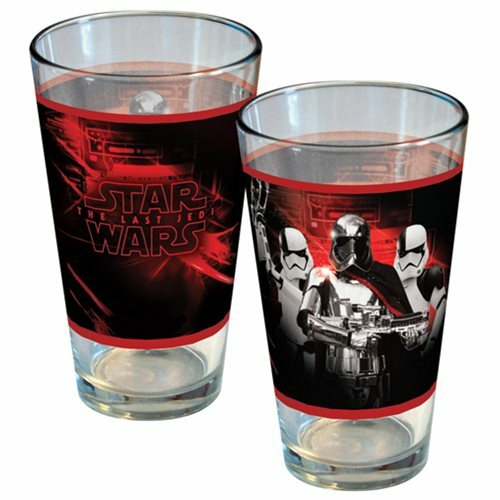 The commander of the First Order's Stormtroopers makes a lasting impression on this eye-popping Star Wars: The Last Jedi Captain Phasma Electric Red Pint Glass that also shows the The Last Jedi movie logo. Hand wash only. Not dishwasher safe. Do not microwave. Ages 13 and up.